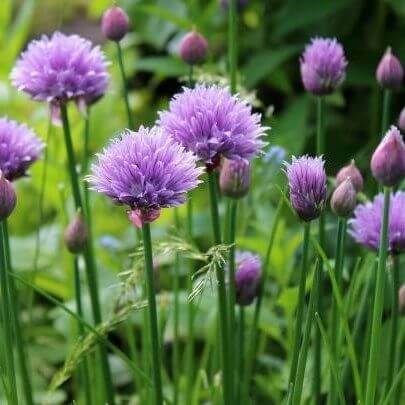 Chives have a mild onion flavour. Generally, it’s the stems that are used in cooking. The flowers can also be eaten.